The keynote speaker was Andrew Cannavan, Laboratory Head, Joint FAO/IAEA Division of Nuclear Techniques in Food and Agriculture, International Atomic Energy Agency, United Nations, Austria Andrew discussed the global perspective of food fraud and a "systems" approach to dealing with it. His examples were drawn from his Division’s international research projects and capacity building in the developing world. 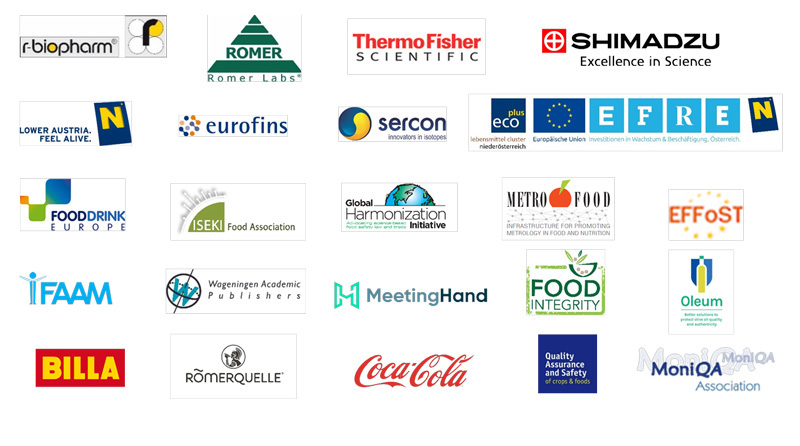 The focus of the projects is mainly on the development and application of analytical methods for food authenticity to underpin traceability, increase confidence that food commodities reaching local consumers, and those destined for international trade, are safe and authentic. Andrew’s conclusions included that positive criteria for enforcement leads to good analytical methods, and he advocated using the simplest methods that are fit for purpose and validated alongside advanced confirmatory techniques. Steven Gendel, Senior Science Manager – Food, United States Pharmacopeia (USP), speaking on assuring food authenticity from a standards developer’s perspective noted that assuring food authenticity is a complex problem that includes the need for information integrity and communication. Consumers expect foods to contain all of the constituents that should be present, to not contain anything inappropriate or harmful, and to have accurate and complete labels. These same expectations apply to all the participants in the supply chain. For industry, authenticity starts with the ingredient. Thus ingredient standards and reference materials are needed along with identity procedures, acceptance criteria, and technically rigorous methods. Stephen described with examples how these requirements are met by the Food Chemicals Codex. His final message was that future standards will need to address complex ingredients where composition can vary depending on environmental, agricultural, and other unpredictable factors. This will create a need to share information such as sets of spectra that are not amenable to publication as traditional documents. These changes mean that standards development organizations, and the food industry, will need to develop a new understanding of what constitutes an ingredient standard, of how to ensure data integrity, and of how to communicate and use these new standards along the supply chain. Cesare Varallo, Vice President - Business and Regulatory Affairs EU, INSCATECH, Italy, gave a lawyer’s perspective on how technologies and blockchain could be used to mitigate the risk of lawsuits and recalls. His presentation examined some of the most recent developments and application of artificial intelligence, the internet of things and blockchain in the food supply chain. These technologies must be properly understood, before being applied: benefits and vulnerabilities should be carefully considered. For example, systems’ interoperability cannot be ignored but such technologies can contribute to strengthening the supply chain and the quality of the data especially in the face of litigation. Finally Richard Cantrill and Roland Poms gave feedback on the two MoniQA Task Force workshops on (a) Food Fraud Prevention and Authenticity, and (b) on Food Allergen Reference Materials. The next task force meetings will be in Toronto at an AOAC allergen meeting in August 2019. The 3rd MoniQA International Symposium in this series will occur in latter half of 2019.